Indiatech.org, a lobby group launched by Indian internet unicorns Flipkart, Ola, and MakeMyTrip, suffered a setback as its chief executive officer (CEO) resigned just six months into his role, citing differences with promoters, said a report. 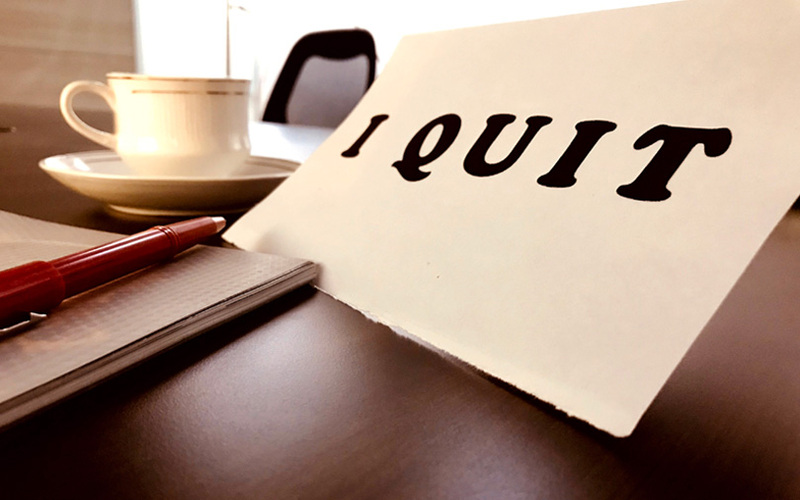 Former Indian Administrative Service officer and economist Gyanendra Badgaiyan has stepped down from the CEO post, The Economic Times reported. Badgaiyan wanted to develop the association into a think tank and extend its reach to other areas of the economy while the promoters preferred a tighter focus on the original agenda of battling US-based tech giants Amazon and Uber, besides lobbying for favourable regulatory conditions for the tech industry, said the report, citing a person. This had been a major bone of contention between the former bureaucrat and the promoters. “Badgaiyan wanted Indiatech to emerge like an Ashoka University or an Indian School of Business, looking at broader national interests,” a person said in the report. Indiatech was formed in September, with e-commerce firm Flipkart’s Sachin Bansal as the founding president and chairman. The group, which aims to represent local ventures seeking protection from resourceful global rivals, was formed amid criticism from experts. Ride-hailing service Ola, travel portal MakeMyTrip, online ads platform Quikr and Airtel scion Kavin Bharti Mittal’s Hike, and Flipkart were among the founding members of the association. Japanese internet and telecom giant SoftBank Group joined the industry body in October and investment firms Matrix Partners and Kalaari Capital extended their support. In addition, others were invited to the group: New York-based Tiger Global Management, Hong Kong-based hedge fund Steadview Capital Management and Accel India. Although keen to join the group, the firms couldn’t figure out an official way to reach the organisation, a spokesperson of one of the Indian unicorns told TechCircle. Besides, the report said there was not a single employee working for the group at present. Besides lobbying for favourable policy outcomes against foreign competition, the group wanted to help startups create jobs and sharpen skills. The debate around a level playing field for Indian startups began in December last year when Bansal and Ola co-founder Bhavish Aggarwal hit out at foreign-origin firms on their alleged capital-dumping practices. Bansal reignited the debate again in February this year when he advocated for ‘selective globalisation’, saying it is something the US and China already follow. Bansal said it was a mistake to not think of internet and technology as a strategic sector and to depend on China and the US to build it. “Indian companies can and should build products which are world-class and take them globally. Zomato, Practo and Freshdesk are clear examples. We need to figure out how do we create a level playing field so that our news, restaurant apps or anything in the internet space don’t get prematurely killed by a company coming from China,” he said in a report by news agency Press Trust of India. “What we need to do is what China did and tell the world that we need your capital, but we don’t need your companies,” he said. Ola’s Aggarwal said it is much easier for non-Indian companies to raise capital because they have profitable markets elsewhere. “You might call it capital dumping, predatory pricing or anti-WTO (World Trade Organization), but it is an unfair playing field for Indian startups,” he argued. Prominent venture capitalist Vani Kola, founder and managing director of Kalaari Capital, had also joined the debate. In a post on online publishing platform Medium.com, she extended support to Indian entrepreneurs in their fight against foreign-origin rivals. “The first experience of well-executed e-commerce experience for most Indians came from Snapdeal or Flipkart, and the convenience of hailing a cab from anywhere using an app came from Ola. Amazon and Uber weren’t around when these entrepreneurs were busy converting sceptics into customers,” she said in the post published in late January this year. She highlighted the consequences of a lack of regulation against alleged capital-dumping practices in the e-commerce industry. She cited the example of China and Europe whose market value in the internet sector is $1 trillion and $50 billion, respectively. This is because while China banned companies like Google, Twitter and Facebook, and Europe did not, she explained. Sharad Sharma, co-founder of iSpirt, a think-tank for new-age Indian tech companies, too, had argued for level playing field for Indian internet companies. “iSpirt’s view is that the role of the government is to create a level playing field and the market will pick the winner,” he said.